This registration form is for the 20th edition ONLY. Please click here if you are registering the 19th Edition. 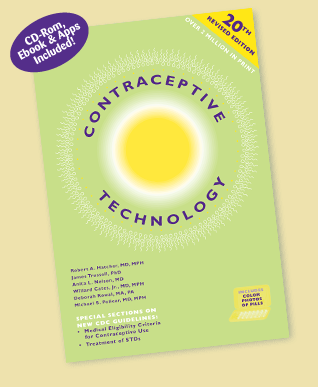 Thank you for your purchase of Contraceptive Technology. Please fill in the information below to register your CD-ROM. Your password will be emailed to you. In order to register properly, please check if you will be installing on a PC or MAC. To help prevent spam, please enter the generated code below.